I cannot possibly come up with a noble reason where I have been, what I have been doing, why I did no publishing, whether I came across a near death experience, if I was waiting for Kidero’s grass to grow to write again or most importantly why I owe you more than five stories. But I will do even better I will give you a job! A well paid job, a job you will do at the comfort of your bed beneath your sheets. The kid of job you will toss and cuddle, turn and wiggle in bed the entire day but still get paid. I got your attention, didn’t I? I know I did. I want someone to make my eulogy. I am nowhere near death but I need a well written eulogy. I want a captivating story that will make my mourners dance with exciting electricity. I want a good story about how I lived this life, of how I wanted to live forever but time became as scornful as a jealous ex-wife. A good story that will soil the publishing boys and girls at the press with envy. I want this eulogy to cover the story where I fell into a pit one Sunday morning. How mom thought I did it on purpose so that I would not put on a certain coat I abhorred. How my beautiful sister, Kate Njenga, screamed as she tried to pull me out from drowning in water covered with filth. I want someone to use words to describe the astonished priceless look on her face as she called out for help. And what’s more? I want someone to write down the love, laughter and joy the Njengas have brought me throughout the years. Who is going to pick up that pen? Sharpen it until my grievers can feel the sharpness of it’s nib. Who is going to raise their hand and write my eulogy? A fascinating tale that terminates with a heroic demise. A hilarious story of a legendary writer born in 1995 and started writing on July 2014. Will they need photos? I have got several hundred GBs of good pictures capturing all kind of moments, selfies included. I will hand them to you if you are interested. I got one request be though as it may. Let there be at least two selfies on my eulogy. Let them write that I did a selfie at least once in every one and a half months. They should know that I once thought a selfie stick is used to beat up male humans who took selfies and let the caption be as good as a doughnut’s factory slogan, ‘Eat before you die’. My eulogy booklet has to be as big as True Love Magazine. 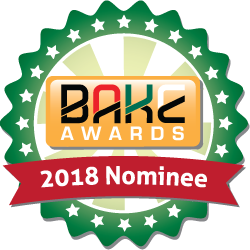 Bikozulu will write on the last page and since he does not know me yet, I want him to tell a story of how I came to Intercontinental Hotel May this year for BAKE Awards 2015 with feverish anticipation to see him and got the second biggest disappointment in life when he did not show up. The first one was when mom finally broke it to me that Santa is not real. Let him feign the disappointment of having not met me in a hilarious story and let Magunga and My Dear Doris tell him of how good I looked in a new black suit that day. And if it happens that I will have published this book I have been struggling with, I want my eulogy to quote it as often as possible. Compare and contrast me with my characters as well as put its plot alongside my long happy life. My books are bound to be fast selling and revolutionary so I hope all my bereaved cohorts will have read all my books. So, you see? My eulogy has to be large – like True Love. My mourners better design this magazine in an orderly and neat concord. If they cannot print it, I will be fine with a published soft copy. But the frames have to be magical as the rainbow not like they made it in a hurry, sort of like my death happened unaware, No! let them not invest in the coffin, use that money to hire a designer for my eulogy then cremate my lifeless body and spread my ashes across the oceans where people do not swim. dennispetersblog has to be kept running even after my well prepared departure. My two daughters will be writers, my son – not so sure but my daughters will definitely be good writers. They will make words dance to their rhythm every time they pick a pen. They will convince the alphabets with their beautiful intelligence and make beautiful stories each time either tries to compose something. They will say that they got it from their dad because in the words, my children and I will always be one. They will chief edit my eulogy. Lastly and most important, my eulogy has to be in Times New Roman Size 14. No Calibri or Old Text English, this is my eulogy not an art book dammit! I hope my eulogy gets nominated in BAKE Awards as best artistic eulogy, a new category that will be introduced after those chatty chaps in Nairobi see my eulogy. They will therefore hand my gang a maasai trophy and a t-shirt and my gang will be happy. In my death, a good story shall be written. Happy First Anniversary to DennisPetersBlog!!! Make that a Maasai trophy, a t shirt and of course an Infix HOT maybe? Hahaha that Airtel T-shirt will definitely be yours… Lol! Thank you 😊. Eulogy booklet as big as True Love magazine dude you want us to document all the nitty gritty about your life huh? Good read as always! Hahaha but then we all must die, yes? I just choose to be prepared for mine.